Tell Everyone with the Tell About This App! I have always been a huge fan of the Write About This app by @dreambition. 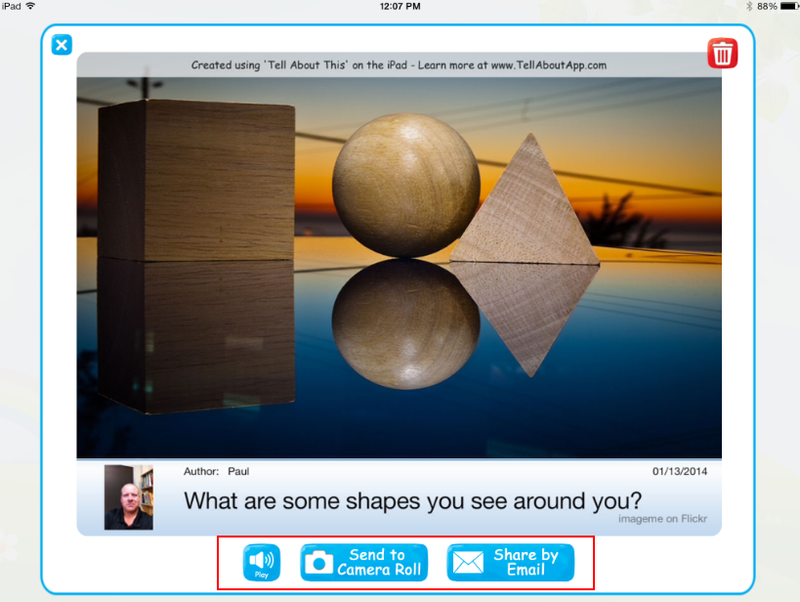 It is a great app for getting students to write by accessing a number of prompts or creating your own. You can learn more about that app in one of my previous posts here. What about those students that aren’t there yet? What about the ones that cannot write yet or really struggle transcribing their verbal stories onto paper? Well, @dreambition has answered those questions with his newest app, Tell About This. It is built very similar to its older sibling, but instead of writing your response you are able to simply record your voice and share your story out that way. It is a great answer to emerging readers and writers as well as those that struggle with writing for any of a number of reasons. The app is very simple to use. 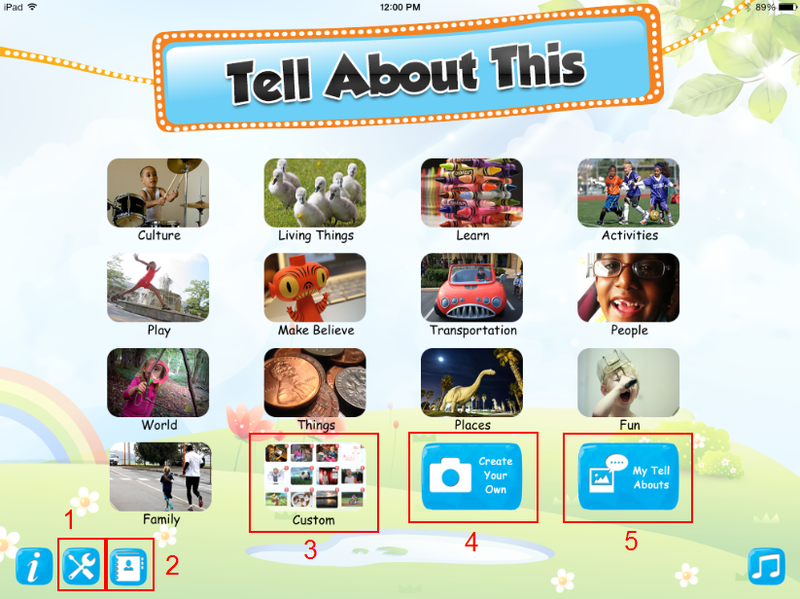 From the home screen you are able to select prompts from a number of different categories. Once you click on a category you are taken to a new page that lists a good supply of prompts that fit that category. Settings– Turn certain options on and off. You can also enter a default email address here. This is great for when you want to share out. I will talk more about this later. Profiles– Add your student profiles in here so that the stories can be associated with the storytellers. Custom– This is where your self-created prompts are stored. 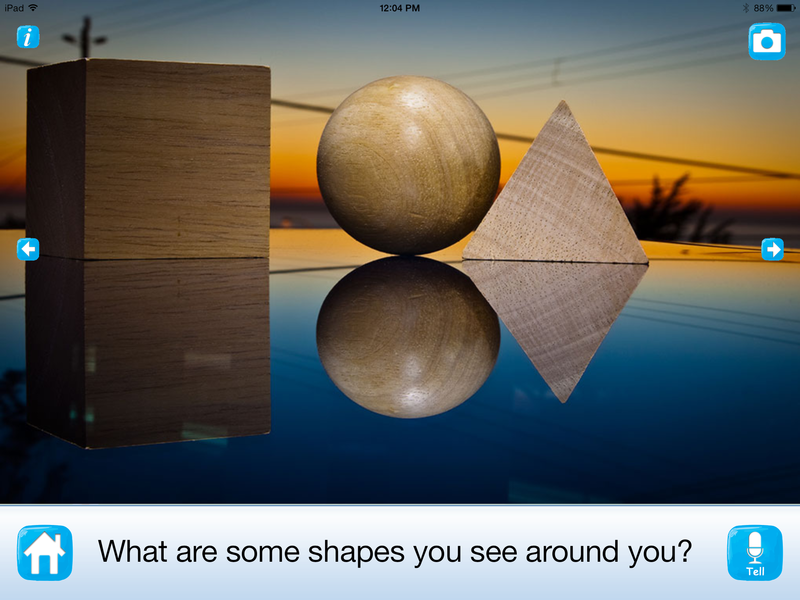 Create Your Own– Use your own images to create prompts for your students. More on this later. My Tell Abouts– Any stories that are created are stored here. To get started, click on one of the categories, then choose an image you find interesting. It will lead you to a screen that looks like the one above. The image is shown to spark interest and a prompt is listed below the image. Depending on your settings, the prompt can be read to you and the words can be highlighted in red as they are being said. If you need to hear it again, tap on the words to have it re-read to you. You can use the arrows located on either side to scroll through the different prompts in the current category. When you have found the prompt you wish to tell about, click the Tell icon in the lower right. It will immediately start recording your voice. Click it again when you are finished. You will next be taken to a Choose Author page. 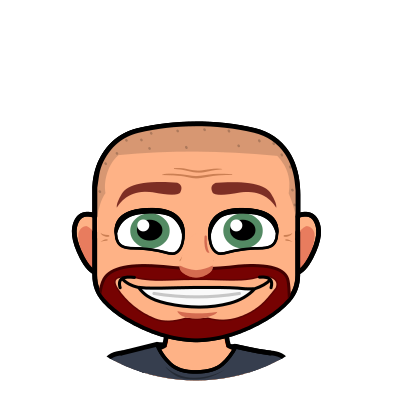 If you have added profiles of your students already they will appear here. If you have not and would like to quickly add a profile, choose that option from the upper right. You can also choose to skip this option in the lower right. Your story will appear on your screen. Notice that if you choose a profile, the name and picture appear just below the image. From this page you have the options to play the story, send to your camera roll, or share by email. As I mentioned earlier, in settings you can set a default email address. If you do this and choose the share by email option the “To” field will automatically fill for your students. This is a great time saver! Above is a quick example of a finished product. I saved it to my camera roll and then uploaded to YouTube. Finally, let’s talk a bit about creating your own prompts. 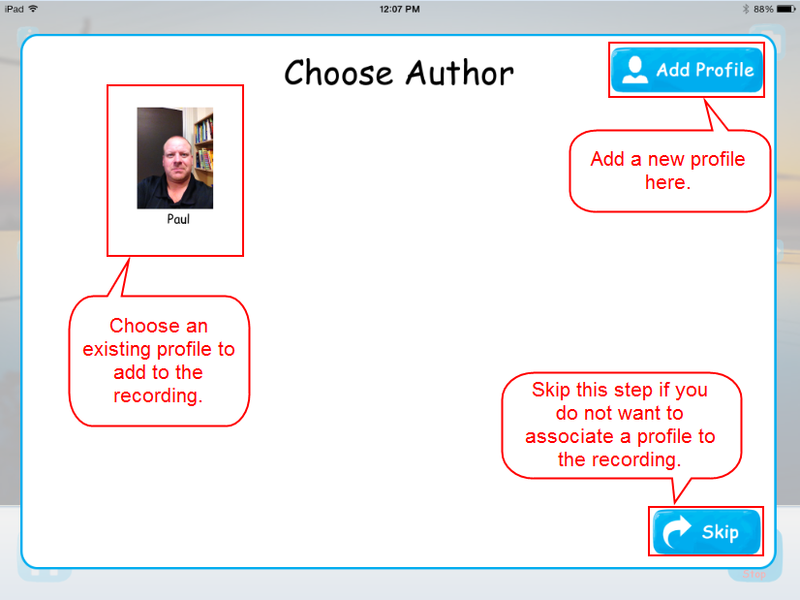 If you choose that option you are taken to a well laid out screen that walks you through the process of adding your own picture, adding your prompt as text, and finally recording your prompt as audio. I have had some trouble with the recording option if I wait with this until last. 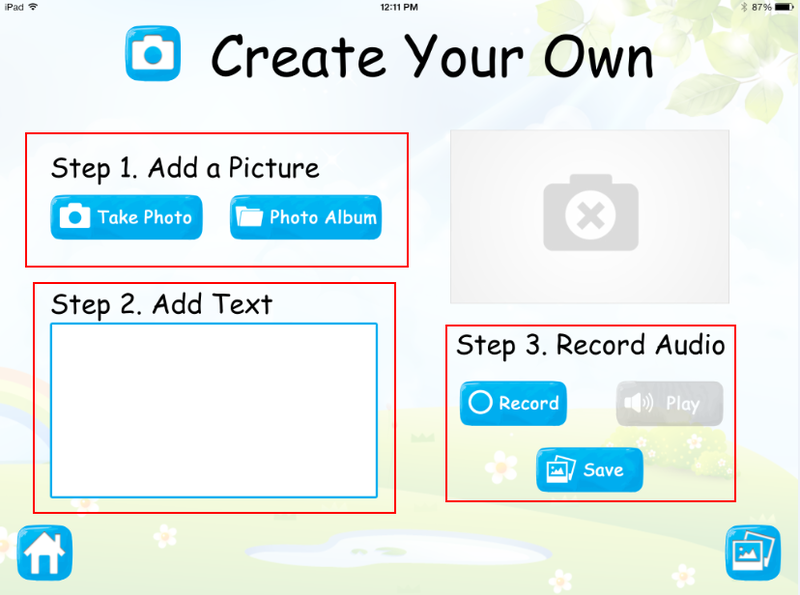 I often record first and then add the image and text. If you have trouble recording give this a shot. All in all I believe this app was very well planned out. It is brand new so I am sure we will see some updates and improvements in the coming months. The $2.99 cost for the Tell About This app is well worth it if you work with students of any age who struggle with getting their stories down on paper. There is also a free version you can try out first. Careful trying it though…because you will be hooked!